In adventurous foodie circles, people like to talk about the most exotic things they've ever eaten. But no one really talks about their extreme adventures in eating dried fruit. Perhaps they're worried people will view them less as an adventurer and more of an Angela Lansbury granny-type. I understand these risks as I go forward with this post. The unsurpassed king of dried fruit is France's Pruneaux d'Agen. This is probably the only dried fruit I know of that has IGP status, protecting its name and place of origin. Named after the town of Agen, these prunes come from the Aquitaine region of France. The Aquitane is in the Southwest corner of the country, bumping up next to Spain and home to such classic cheeses as Abbaye de Belloc, Etorki, and Chaumes. Agen prunes are prized for their luscious, creamy texture and bright, plummy flavor. Biting into one is like a gush of intense, plum jam. No one mentions that their skin is a bit firmer than regular prunes, though. This was a turn-off for Carla, but I didn't mind it. I actually think it helps the innards taste creamier, as they contrast with the slight chew of the skin. Like on a hot dog. Ok, no the best analogy. So are they worth $20/lb? They were the best prunes I've ever had, with a more interesting, intense flavor than regular prunes. Whereas regular prunes only deliver a single, intense bite of deep flavor, these were a more complete arc of juicy sweetness, bright plum flavors, then a slow fade to heavy, traditional prune flavors. But at five times the price, I'm not sure if they were five times the flavor. They were a wonderful treat, so I see why there are so many gift boxes of Agen prunes available on French gift sites. It might be hard to pay that for your own cupboard, but they certainly would make an impressive gift. 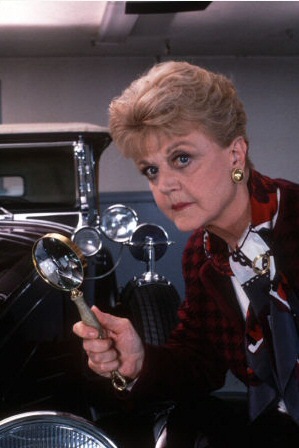 Especially to Angela Lansbury-types like me.